The Mike Brown Group is a leading real estate agency with dedicated listing agents, transaction coordinators, marketers, listing managers and client services specialists. We offer perfect new homes in Boise, Idaho as well as in Meridian, Eagle, Nampa, Star, Middleton, Garden City and surrounding areas at affordable rates. Boise is an extraordinary city with an array of benefits that entices people to visit, move and invest in the area. As the hub of Idaho’s Treasure Valley, Boise is recognized around the world for its incredible outdoor activities, cultural events, safe communities and affordable housing options. As a result of its placement at or near the top of many national lists of “Best Places to Live,” Boise Idaho real estate continues to be strong and shows no signs of slowing down. When beginning the search for a new home, some potential buyers wonder whether they need to work with a real estate professional. Particularly with advances in technology and the availability of online forms and advice, it may appear easy to master the process. In reality, however, purchasing a home is one of the biggest financial investments made in one’s lifetime and demands diligence and expertise. Errors can be very costly and only a professional can manage the process to ensure nothing goes wrong. Another important reason for working with a real estate agent is her or his knowledge of the local real estate market and the transaction process, as well as the ability to proactively plan for any challenges which may hinder or delay a closing. Realtors are seasoned experts and are aware of current and forecasted trends. A real estate transaction involves mountains of paperwork including listings, offers, counteroffers, contracts, addendums, disclosures, title documents, closing forms and much more. Experienced real estate agents are masters of these documents, understanding the details of each page and ensuring that a buyer’s i’s are dotted and t’s are crossed. This attention to detail ensures conformity, legal compliance and a timely closing. When researching Boise’s top real estate brokerages, one which is often included in findings is The Mike Brown Group. 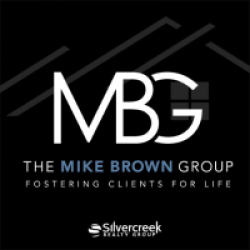 The Mike Brown Group is a leading full-service agency and is passionate about helping clients call Boise their home. With hundreds of years of combined real estate experience, The Mike Brown Group understands the market better than anyone else and is excited to assist buyers in finding their perfect new homes in Boise Idaho. The Mike Brown Group is one of Boise’s top real estate agencies and proudly exceeds clients’ expectations, starting with an initial home search and continuing beyond the closing. Whether searching for new homes Eagle Idaho or any other location in the state, The Mike Brown Group’s website can provide the necessary tools for finding the perfect home. Mike Brown Group is Idaho's leading source for professional realty services, home searches and the best-trained agents. We are dealing with new real estate, new homes for sale & new construction in Boise, Meridian and Eagle. We are committed to bring you only the finest in Idaho home ownership, service and excellence. Buying a new home is widely regarded as one of the most unpleasant experiences in our lives. In fact, a recent study indicated that the home-buying process is more stressful than bankruptcy, divorce or even bereavement over the death of a loved one. Whether it is the prospect of parting with a large chunk of life savings, dealing with banks or lenders, moving to a new area or simply finding your dream home in a tightening market with increasing prices, the process of buying the right property is never easy. However, when you locate a market that has all the characteristics you find important—excellent schools, sound infrastructure, great employment opportunities, endless outdoor activities, fair prices and rising values—the process becomes a much more positive experience. You will fall in love with one such city: Boise. Boise, continually rated one of the best and safest cities in America, was also recently ranked among the top five cities for business and careers. Boise is a beautiful and thriving city, with abundant parks and waterways surrounded by the peaceful Treasure Valley and a business hub in the heart of downtown. With great opportunities for business and jobs, Boise is a terrific place for working professionals to relocate to and find new homes at great prices. Boise’s real estate market is booming, making now the best time to invest in—or relocate to—one of the country’s most-awarded cities. The city has many different neighborhoods and pockets, each with its own identity, amenities and new homes in Boise Idaho that are available. Boise has something for everyone, from new high-rise condominiums in the downtown core to century-old historic mansions to acreages suitable for horses and everything in between. Sorting out the market’s inventory, finding which area will work best for you and your family, deciding on your desired size, age school district and location and other essential tasks are made much easier with the help of an experienced real estate professional. An expert can help you find the perfect property and will work hard to secure it at a fair value. As most know, realtors are licensed professionals within the real estate industry and are in sync with the nuances of an increasingly dynamic real estate market. An effective realtor will draw on his or her networking skills to provide clients with access to all options within a specified market—existing homes listed for sale, reputable builders and owners of bare land on which new homes can be built, trusted remodeling companies who can expertly rehab “fixer-uppers” and others. Real estate agents fully understand the needs of their clients and take these needs into account when helping to find the ideal property within a stipulated budget. Realtors not only help to find your dream home, but also provide invaluable support throughout the home-buying process. They keep an eye on potentially overlooked details such as deadlines, HOA restrictions, repairs and their costs, governmental regulations, property taxes, inspections and much more while ensuring compliance with all involved legalities. One of Boise’s top real estate agencies is The Mike Brown Group. The Mike Brown Group is a team of experienced realtors led by Mike Brown, a Boise Idaho real estate industry veteran. The company is widely recognized for offering a wide range of available properties across Boise, the greater Treasure Valley and the rest of Idaho. The realtors that make up The Mike Brown Group are committed to providing clients with professional and friendly support and exceeding all expectations. With hundreds of years of combined experience, The Mike Brown Group is one of the most knowledgeable and proficient in Idaho’s competitive market. 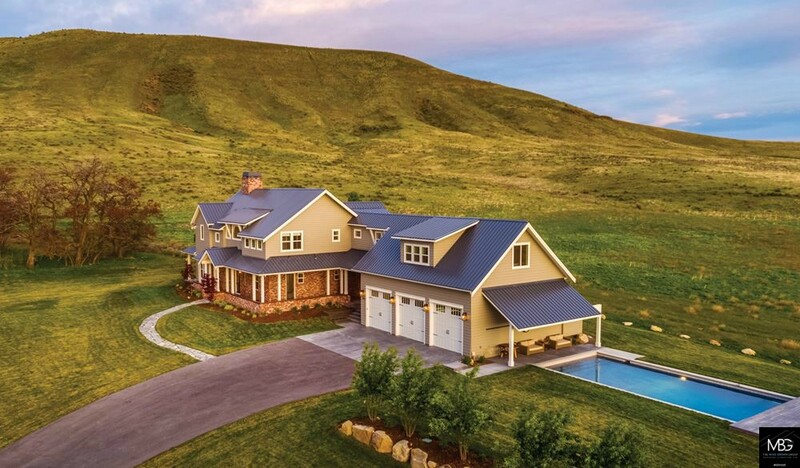 The Mike Brown Group is a leading real estate company offering new homes Eagle Idaho, with access to thousands of properties throughout the area and state through its website. Mike Brown Group is one of America's top 1000 real estate professional teams by REAL Trends. Our goal is to fuse a great online experience with our traditional real estate acumen to create exceptional in-person connections with our clients and partners alike. We offer new homes in Boise Idaho, Meridian and Eagle locations with unique design and quality infrastructure material. With the help of our experienced agents you can find homes according to your need and comfort. If you are considering a move to another part of the country, Idaho should be at the top of your list. With an abundance of business opportunities, endless outdoor activities, safe communities and a booming real estate market, buying new homes in Boise Idaho can be an excellent decision. Whether you are a young professional looking to make your mark or a retiree searching for serenity, incredible outdoor beauty and a low cost-of-living, Idaho is the place for you. Thriving cities in the Treasure Valley include Boise, Meridian, Eagle, Garden City and Nampa, with each offering what you need to live an enjoyable, fulfilling and stress-free life. Each of these offers its own distinct personality, culture and lifestyle…impressive arts and a city’s hustle-and-bustle in Boise, beautiful suburbs in Meridian, affluent estates and acreages in Eagle. Idaho is consistently rated one of the best places in the country to raise a family, with very low crime rates, access to top-quality public- and private-schools and world-class medical facilities. Proactive local governments, a comprehensive and long-term plan for addressing infrastructure needs and access to some of the most scenic and beautiful public spaces anywhere are additional reasons for Idaho’s increasing popularity. Those looking for employment and business opportunities will be pleased with what they find in the state. Sectors which have been experiencing particular growth include engineering and technology, agriculture (research, production, exporting and processing), mining, education and business development. After deciding to relocate to the Boise area, your next step is to search new homes Boise Idaho. With one of the fastest-growing real estate markets in the US, Idaho provides options for buyers looking for any type of property. While there are many real estate professionals in Idaho, very few are taking full advantage of advances in technology that allow much—or even all—of the home-buying process to be handled remotely. Gone are the days of a buyer driving around to look at available homes, signing a contract and other legal documents in-person and in the same area as the property, physically completing a pre-closing walk-through and performing other necessary tasks. Technology has greatly simplified and streamlined the real estate process, making it a much more enjoyable experience than ever before. Comprehensive information regarding the type, size, style, location and price of homes can be instantly accessed through real estate companies’ websites. You can even add filters to a property search depending on your specific needs and budget, with only properties fitting within your criteria appearing in results. The Mike Brown Group is a leading real estate agency in Boise, Idaho and can assist with locating the perfect property in communities throughout Idaho, all without leaving the comfort of your current home. This team of experienced realtors is committed to bringing you the finest properties and with a reputation for providing the finest of services. If you are looking to relocate to the Boise area or elsewhere in Idaho—or are interested in selling a property or receiving a complimentary property valuation—working with the Mike Brown Group should be the first decision you make. The Mike Brown Group is one of Boise’s top real estate agencies and proudly exceeds clients’ expectations starting with an initial home search and continuing through closings and beyond. 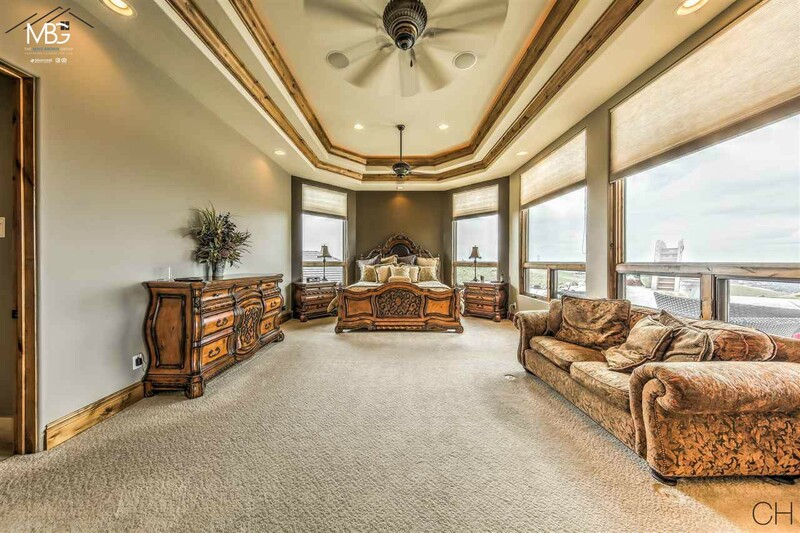 Whether you are searching for new homes Meridian Idaho or any other location in the Treasure Valley or Idaho, The Mike Brown Group’s website can provide you with the necessary tools for finding your dream home.